Setting up at its regular Berkeley Square home, PAD presents its tenth London edition, bringing with it the traditional mix of contemporary design, decorative collectibles, jewellery, paintings and sculpture. With several newcomers joining the 60-plus participants, the fair continues to attract a vast local audience as well as visitors to nearby Frieze (considered PAD’s unofficial big sister). Gathering an intimate but diverse range of works, the fair succeeded in offering household collectibles (such as a strong Brazilian design contingent, represented by, among others, Milan’s Nilufar and Paris’ James galleries) alongside new, more obscure names championed by the likes of Gallery Fumi. Of note was the Hoxton-based gallery’s Rowan Mersh, who was awarded the Best Contemporary Design accolade under the PAD Prize aegis. Mersh, a multimedia sculptor, presented his Asabikeshiinh (Dreamcatcher) piece, a wall panel made of thousands of sliced turritella shells that enigmatically captured viewers’ attention throughout the week. One recipient of the Prize’s Best Stand was David Gill, which presented a collection of furniture by jewellery designer Michele Oka Doner in a bronze-clad booth, and Hamiltons Gallery, whose Japanese stand offered visitors an immersive multisensory experience. Another impressive booth design was Rose Uniacke’s, whose space combined a neutral palette with abundant foliage, mixing olive trees and a seamless mix of Scandinavian, English, Italian and Brazilian pieces from different modern eras. Other fair highlights included London-based duo Doshi Levien’s exploration of Le Corbusier’s Chandigarh architecture, presented by Paris’ Galerie Kreo. The designers created a silk jacquard textile offering a composition which analysed the most important motifs from his Indian work, marking the start of a larger series that the pair titled ‘Objects of Devotion’. Elsewhere, fair newcomer Sarah Myerscough presented work from her roster of young craftsmen, from Joseph Walsh’s sinuous wooden shapes to Christopher Duffy’s glass and wood tables, while French designer Hervé Van der Straeten offered a vast retrospective of his recent work in a display that merged bright colours with golden touches. Specialising in glass art, Parisian gallerist Clara Scremini brought works by Jiyong Lee and Giorgy Gaspar, among others. This year, the fair also introduced the first of a series of talks, centred on collectible design and the role played by creators and galleries. For the inaugural talk, organised by Investec Private Banking, journalist Caroline Roux moderated a conversation between designer Tom Dixon, collector Tania Fares, Wallpaper* Editor-in-Chief Tony Chambers and Gallery Fumi co-founder Sam Pratt. The conversation focused on the evolution of collectible design, analysing what Dixon called ‘the spread of desirability’ on display at the fair, which ranges from rare, mid-century and older pieces to younger designers’ works and the different spectra of values. ‘The design pieces that you have in your home have more emotional impact than the art that surrounds you,’ added Fares, whose collection includes an early Tom Dixon ’S-Chair’ as well as pieces by the likes of Ron Arad. 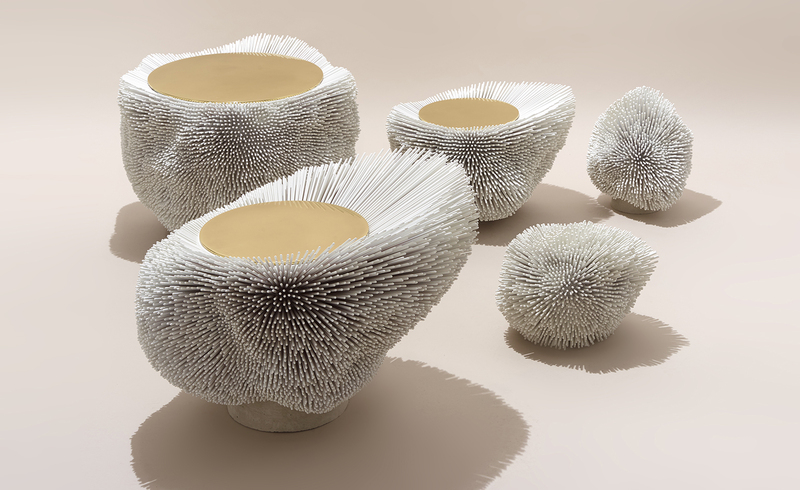 ‘There is a tactile and emotional connection to design pieces you collect,’ adds Pratt. 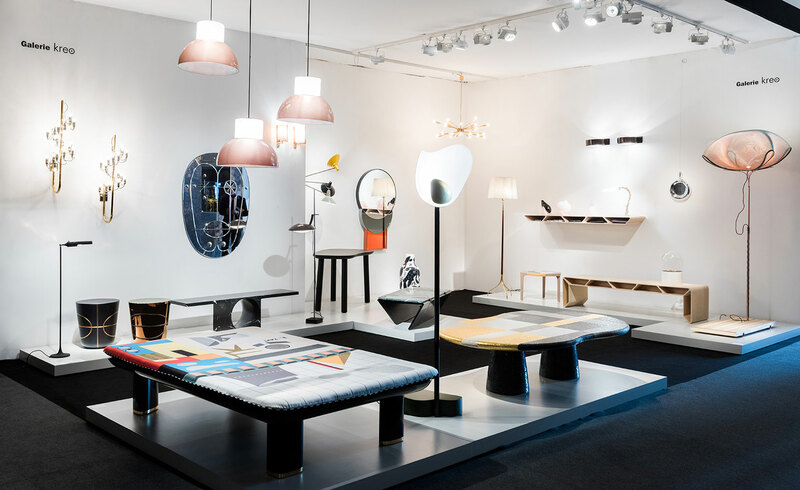 Questioning and debating collectible design from a point of view of desirability, education taste and ethics, the quintet debuted this new chapter of the fair, one that promises to add a further layer to PAD’s rich offering in coming years.